As a schoolboy, the terms first, second, and third world were in frequent use. The developed countries and Japan were then considered “first world” because of their political and economic dominance, while Africa, Asia, and Latin America were dubbed as “third world”. This categorization was never academically defensible, but it captured popular imagination. Since I never visited any foreign country until the age of 23, all I knew was India as a third world country versus the first world that I saw in Hollywood movies. Generally, the first foreign countries that an individual visits are the geographical neighbours. Thus, for Americans, it is Canada or Mexico; for Swedes, it is Denmark or Norway; for Saudis, it is Dubai; and for Indonesians, it is Thailand or Malaysia. Indians are different. Most Indians who have ventured to foreign countries have never visited their neighbours, perhaps with the exception of Nepal. But, they have often been to USA and UK. It is only relatively recently, that Dubai and Thailand have become popular with Indian tourists. One unfortunate consequence of this is the slanted stereotypical view Indians have of their neighbours. Only after having visited Bangladesh, Pakistan, and Sri Lanka did I experience their beauty and warmth. This introduction is to set up that as a young man, I never thought of second world. It is only after living in USA and visiting several European countries, that I first encountered Mexico at the age of 30. As I landed in Mexico City, I had the epiphany that there is a second world. The airport was distinctly superior to the Indian airports at that time, but did not reach the standards of the US and European ones. When I say airport, it is not simply the infrastructure but also the processes for handling immigration, baggage, and currency exchange. Since then I have been frequently in the second world, especially Thailand, perhaps my favourite country for organizing conferences. 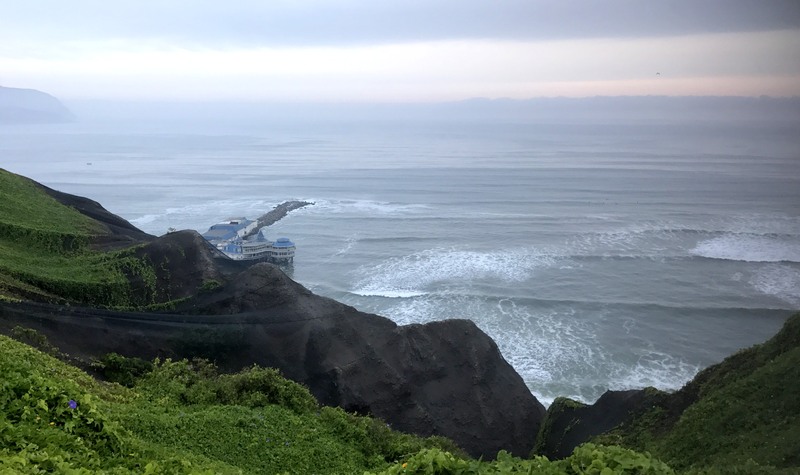 This month, I visited Peru for the first time. While the terminology may have fallen out of use, the second world is distinct. When I compare to India or Bangladesh, the second world countries have better infrastructure, cleaner toilets, and a public transportation system that I can use. In addition, as a foreigner, you can consume the street food and brush your teeth with the water from the taps. More importantly, one does not observe the grinding poverty that one encounters in the third world. Yes, the hawkers and panhandlers will approach you, but one no is enough to have them leave you alone with a smile. As an outsider on a brief visit, what really strikes one is the big difference in the ease of doing business and quality of human capital. A coffee shop in Peru can sell you a beer without any problem and almost every café had a good free Wi-Fi for its customers. In contrast, in India, obtaining a liquor license is a major hurdle in most parts of the country. More importantly, the average person (please note that I am only referring to averages in comparing countries) seems to have a higher level of education and is more productive. The only way one can support a higher per capita income in a nation, unless one is blessed or cursed with oil reserves, is if the average person in the country is more productive. As a naïve comparison, a Starbucks in Thailand will have far fewer employees than one in India while generating similar if not higher store revenues. A quick check of per capita income in dollars demonstrates this: Mexico at 9,500, Peru at 6,200, Thailand at 5,700 and India at 1,600. These figures are in nominal dollars as I do not believe in purchasing price parity. My recent sojourn in India convinced me that most of what I consumed was more expensive there than in London. The well known “middle income trap” phenomena means that second world countries reach a certain, relatively comfortable level of income but cannot seem to take that next big jump into the first world. In recent times, only South Korea and Taiwan have overcome this. After suddenly finding myself unemployed, I realized that landing a new job would take six to eight months. What should I do meanwhile? Despite having visited more than 70 countries, there were three places that I had always longed to see. This is what brought me to Peru. 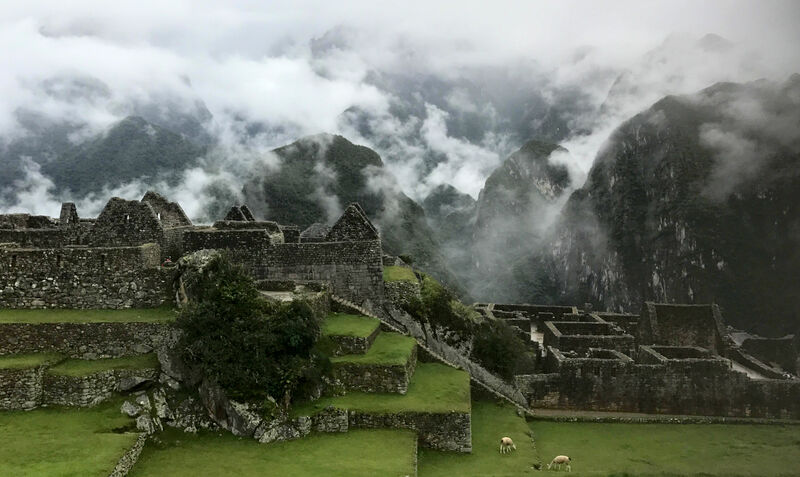 After Borobudur in March, Macchu Picchu was next on the list. Bagan remains. Admittedly, I knew nothing about Peru beyond some faint recollection of having read about Shining Path and Fujimori. But, this is what made for a fascinating trip as you discover your ignorance. 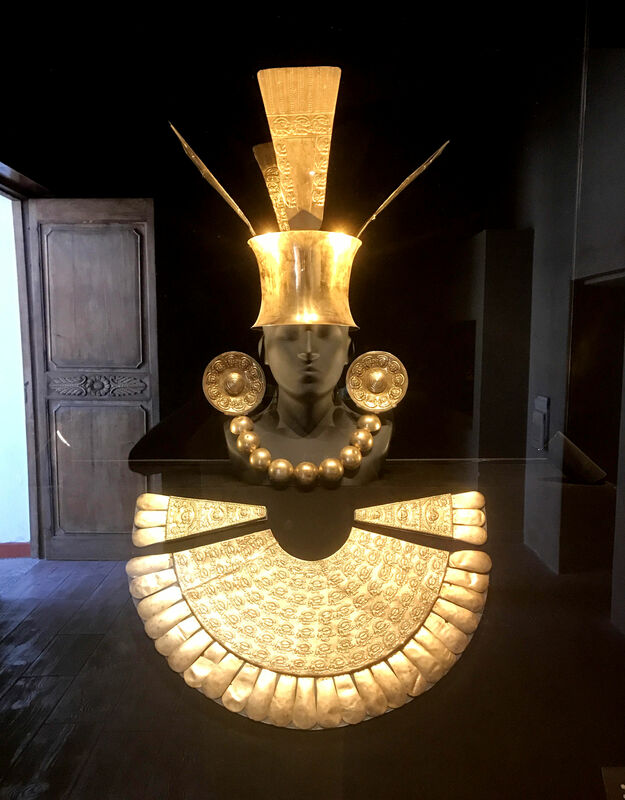 Peru is home to one of the oldest civilizations. On par with Egyptian, Mesopotamian, Indus Valley and China. 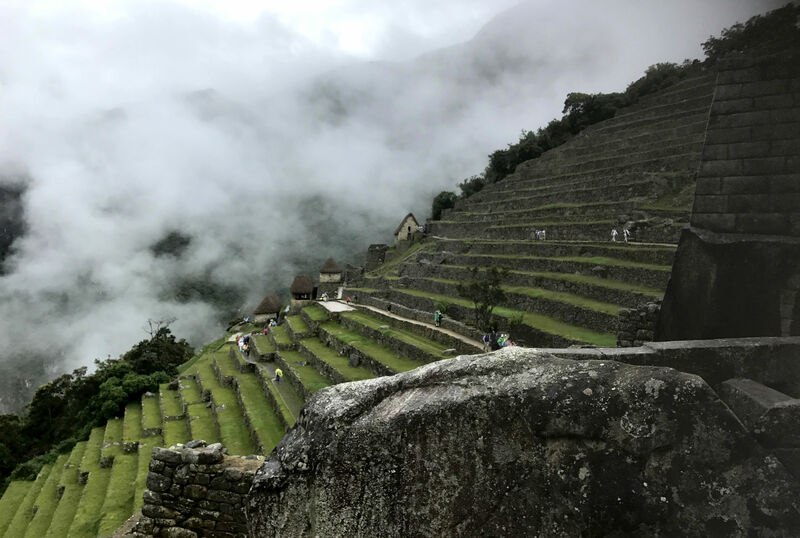 While Macchu Picchu fully delivered on its promise with its heaven on earth magical atmosphere, the other sites were all special. 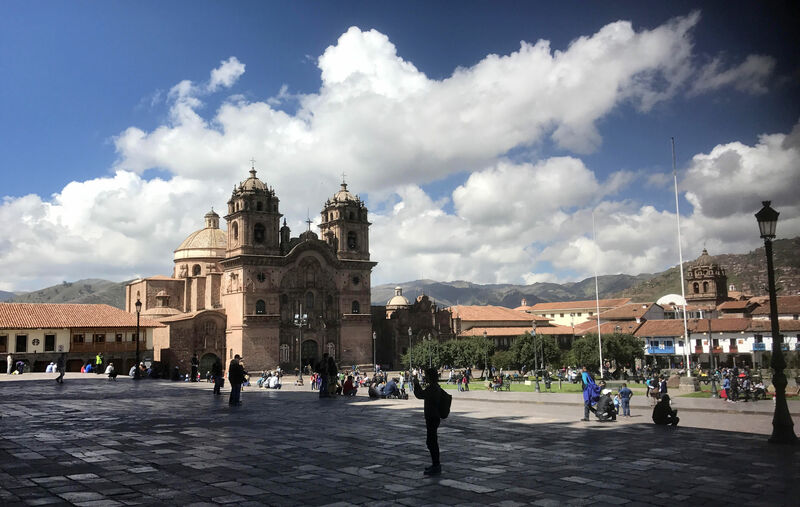 Then there was Cusco, a colonial city with an extraordinary history, colonial splendour, and many accessible ruins. The entire country is set up to be easy for tourism. The service was exceptional as Peruvians are a naturally gentle people. Always smiling and not one negative encounter in ten days. The ministry of culture does an exceptionally noteworthy job of not only keeping the large number of historical sites and museums open to the public, but also preserving for posterity. Often, in the third world we benchmark against the impossible standards of the first world nations. Perhaps, we would be better off benchmarking against countries such as Peru on this front since they face similar resource constraints. When I compare Macchu Picchu and Borobudur with the last UNESCO world heritage sites that I visited in India of Ajanta and Ellora caves, it saddened me. The inherent quality and stories of these ancient treasures is comparable. They were all lost to mankind for centuries before being rediscovered, but the access and facilities for tourists in India results in far fewer international visitors. Finally, as a foodie, I did not realize that on the list of the 50 best restaurants in the world, there are three in Lima alone! Did manage to get a reservation to dine at two, of which, Maido was truly deserving of its ranking as the 8th best restaurant in the world. 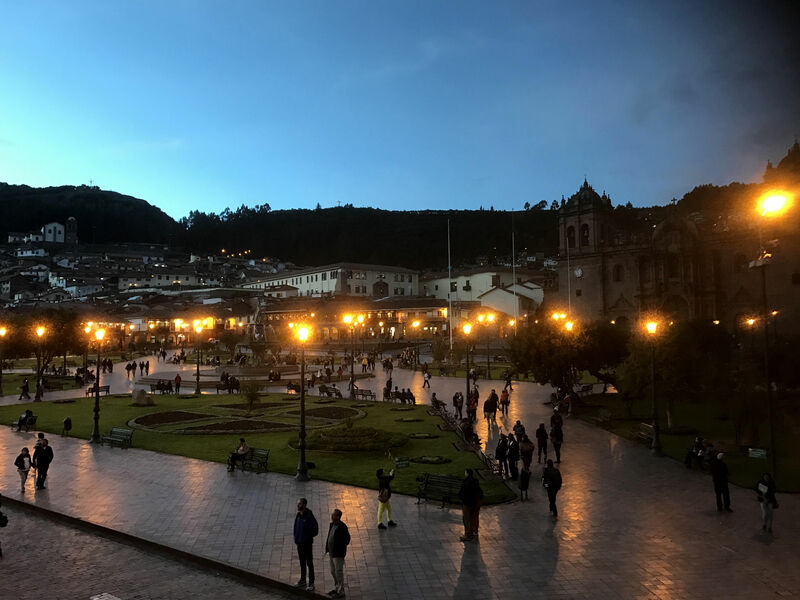 Beyond this, one could not help but admire the depth of Peruvian cuisine as my four dinners in Cusco would attest. Clearly, Peruvian cuisine is as diverse, complex, and unique as Chinese, French, Indian, Italian, and Mexican. Previous Post Can B2B Companies Evolve into B2C Companies? Next Post Do Global Brands Create Value?